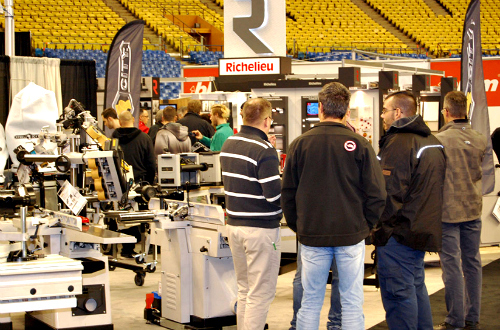 SAINT-HYACINTHE, Quebec – Driven by its continued growth and successes, including the move to its new home here, the organisers have announced that Canada Woodworking East will return here for its fourth edition on 22 and 23 October 2020. The show will return to the BMO Centre at Espace Saint-Hyacinthe to welcome thousands of secondary woodworking industry professionals, including cabinet manufacturers, residential and commercial furniture manufacturers, architectural woodworkers, millworkers and custom wood product manufacturers. According to the organisers, it is the only bilingual event of its kind in the region. “We are proud to launch our 2020 edition with the support of Quebec’s major machinery and hardware suppliers that have worked hand-in-hand with Canada Woodworking East to create Quebec’s larges woodworking show,” show manager Mike Neeb said in a statement. Exhibitors at the last show were also enthusiastic about their participation. 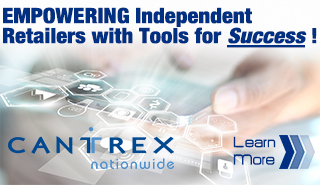 “We met several customers, not to mention the new leads. The fact that the show is back in Saint-Hyacinthe is great and practical for us. Our booth location was perfect; the staff was eager to help, and accommodations were close by,” said Claude Caron, vice president of marketing for Caron Industries, the kitchen and furniture cabinet door maker headquartered in Montmagny, Quebec. “More visitors than we expected, great show!” added Frédérick Legault, technical service director for CNC Technica, a machine tool service provider based in Chambly, Quebec. “Lots of high-quality decision makers and direct users, we will be back in 2020,” Catherine Baril, executive director of the Joliette, Quebec-based Viscan Fasteners. The organisers – Master Promotions of Saint John, New Brunswick – said the fourth edition for this biennial woodworking industry event will include a cutting-edge seminar series, which has seen success in previous years. Expert speakers will cover a variety of current issues in the woodworking industry, to help attendees build their knowledge and skillset. Seminars will be held onsite throughout the show free of charge to all visitors and exhibitors. At the end of the first day of the show, the organisers will host its first-ever social event to celebrate the secondary woodworking industry. Exhibit inquiries can be forwarded to Neeb at [email protected]. Master Promotions is currently organising Canada Woodworking West, scheduled for a two-day run beginning 02 October at TRADEX in Abbotsford, British Columbia.